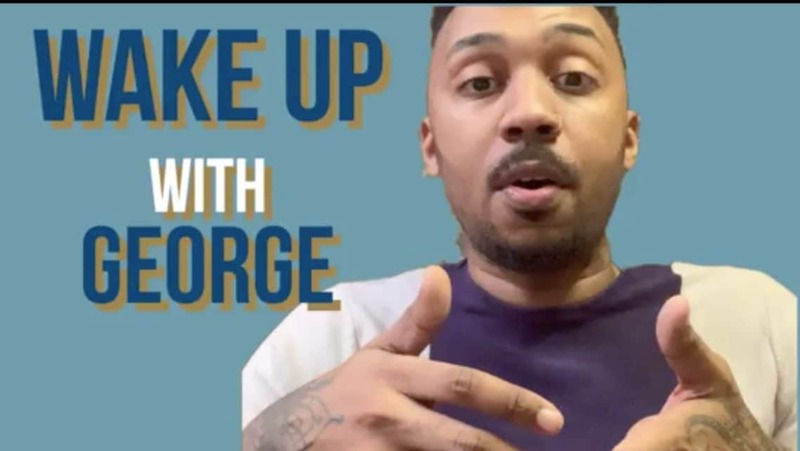 Wake Up With George two times a week by visiting theGrio.com and our social media platforms. Here you’ll find George M. Johnson giving his intelligent, impassioned, and witty takes on current news as it affects the LGBTQ+ community. As he says, Black lives matter and that includes LGBTQ+ lives. No minced words here. George praises NBA star Dwyane Wade and his wife actress Gabrielle Union for enthusiastically showing support to 11-year-old Zion Wade at the Miami Pride Parade. George was recently on the receiving end of death threats for calling out homophobia and understands how important it is to have a support system. George explores the potential impacts of the Tennessee State Legislature advancing a bill that affects LGBTQ families and their ability to adopt children. Wealthy white families funding buildings, research labs, and the like in order to get their children into elite colleges is nothing new, but this latest college cheating scandal has exposed an even more egregious level of rigging and entitlement. George breaks down how this further exposes how shamefully inequitable the education system is for Black families. R. Kelly and Michael Jackson have both been the subjects of documentaries this year that delved into allegations of sexual abuse with underage people. George talks about why, regardless of belief in whether or not crimes were committed, some people find it hard to acknowledge inappropriate behavior with children when it comes to celebs. Over the weekend, actor Terry Crews made comments on Twitter about children needing “father figures” and he was quickly checked by the LGBTQ community and allies. George explains why Crews’ line of thinking can be dangerous. It’s been seven years since the unarmed teenager Trayvon Martin was shot and killed by George Zimmerman. George M. Johnson talks about what has happened to this country in those seven years and the work we still have ahead of us. In the wake of Jussie Smollett being indicted for filing a false police report in connection with the racist and homophobic assault he allegedly endured, George reminds everyone that hate crimes against the LGBTQ+ community are very real and victims should be believed. Over the past 18 months, two gay Black men have been found dead in the home of wealthy Democratic donor Ed Buck. He has not been charged with any crimes. George talks about what it means that Buck was seen with a young Black man just this month. Jussie Smollett recently gave his first interview since he was attacked last month in a violent, racist, homophobic assault. George offers his reaction to Smollett’s statements and how this impacts the LGBTQ+ community. George acknowledges National Black HIV/AIDS Awareness Day and offers up statistics and resources available for the Black community. He also shares his thoughts on Donald Trump‘s comments about HIV/AIDS during the State of the Union address. Last weekend, actor Terry Crews and comedian DL Hughley traded jabs on social media about Crews’ sexual assault at the hands of a high powered Hollywood honcho. George lays out the multi-faceted ways that Black men have impacted the #MeToo movement. George explains why the homophobic and racist assault of actor Jussie Smollett on the streets of Chicago was terrible, but unfortunately not surprising. The attack on Smollet is just the latest example of how dangerous it can be to be in the Black LGBTQ community in America. On this episode, George talks about the latest round of artists who seem to be supportive of R. Kelly even in the wake of the explosive Lifetime documentary. Erykah Badu, Da Brat and Meshell Ndegeocello have seemingly all found their hill. Find out what George thinks about that. Episode 2: Is this Gillette Ad the Best a Man Can Get? Shaving instrument manufacturer Gillette went viral at the top of 2019 with a new commercial that highlights the many ugly sides of toxic masculinity and offers up some advice to men on how prevent and diffuse harmful situations. Some men felt the ad was a negative portrayal of men in general while others praised the commercial for tackling a major issue head on. George? Well, his commentary doesn’t fall neatly into either of those categories. The new year has barely begun and yet we are already mourning the death of 31-year-old Dana Martin. Her untimely demise is believed to be the first murder of a transgender person in 2019. George tackles this sobering news in the first installment of his new video op-ed series Wake Up With George. In this segment, George breaks down the horrifying statistics on transgender murder and he also highlights the specific vulnerability of Black transgender women like Dana Martin.